Van Gassel, F. J. M. (2016). 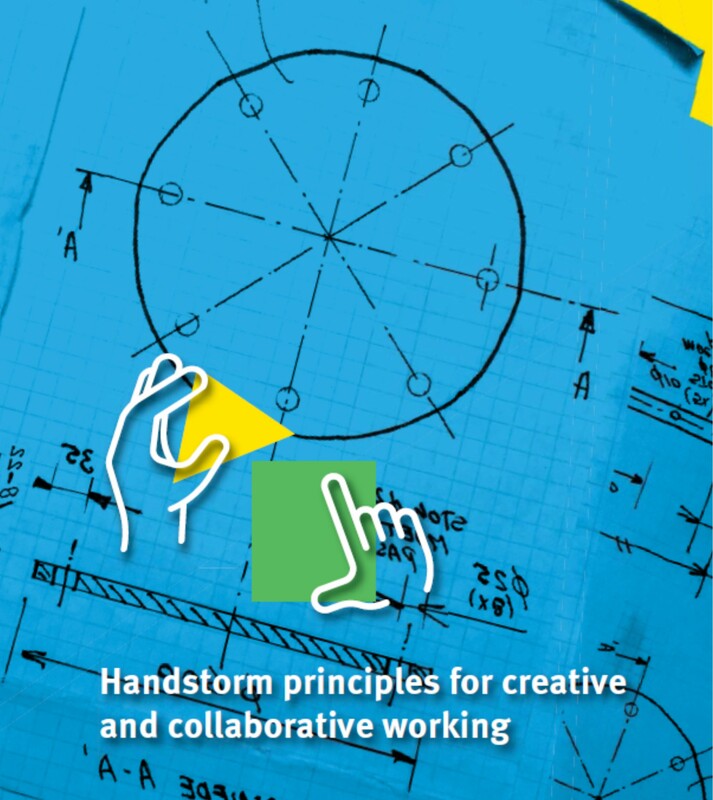 Handstorm principles for creative and collaborative working. (Doctoral degree PhD Study), University of Technology Eindhoven, TU/e, The Netherlands, Eindhoven. Van Gassel, FJM, Robotizing housing and design. Maas, G.J. and F.J.M. van Gassel, Preface In Automation in Construction. Volume 14, Issue 4, August 2005, Pages 433 – 434. Maas, G.J. and F.J.M. van Gassel, The influence of automation and robotics on the performance construction. In Automation in Construction. Volume 14, Issue 4, August 2005, Pages 435 – 441. Frans van Gassel. (2013) Feedback from members on IAARC’s activities. IAARC meeting presententation and a summary during lunch ISARC 2913. Bronswijk, J.E.M.H. van, Maas, G.J. & Gassel, F.J.M. van (Eds.). 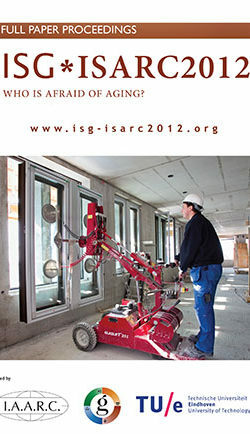 (2012).Proceedings full papers ISG*ISARC2012 : joint conference of the 8th World Conference of the International Society for Gerontechnology (ISG) and the 29th International Symposium on Automation and Robotics in Construction (ISARC), June 26-29, Eindhoven, The Netherlands. Eindhoven: Technische Universiteit Eindhoven. Gassel, F.J.M. van, Visser, M.J.E. & Bronswijk, J.E.M.H. van, (2013). Failure stress as a motivator for creative construction management. In M. Haidu & M. Skibniewski (Eds. ), Proceedings of the Creative Construction Conference 2013 (CC2013), 6-7 July 2013, Budapest, Hungary (pp. 242-253). Maas, G.J. & Gassel, F.J.M. van (2011, May 13). Hoe om te gaan met robotisering en automatisering? Eindhoven, Presentatie Symposium Value Development in Construction Management VDCM. Van Gassel, FJM and JEMH van Bronswijk (2010) Working method to enhance end-user value for aging-in-place. Van Gassel, Frans J.M., Ger J. Maas & Johanna E.M.H. van Bronswijk (2009) A research model for architectural meetings to support the implementation of new building technologies through collaboration of brainpower. Proceedings 26th International Symposium on Automation and Robotics in Construction (ISARC). Edited by Carlos Caldas, Austin, US. Van Gassel, Frans and Glenco Jansen (2008) A simulation tool for radio frequency identification construction supply chains. Proceedings 25th International Symposium on Automation and Robotics in Construction (ISARC). Edited by E.K. Zavadskas, A. Kaklauskas and M.J. Skibiniewski. Vilnius, Lithuania. Van Gassel, F.J.M. and G.J. Maas (2008) Mechanising, Robotising and Automating Construction Processes. In: Robotics and Automation in Construction. Ed: Carlos Balaguer and Mohammed Abderrahim. In-Tech. Van Gassel, F.J.M., P. Schrijver and J. Lichtenberg (2006) Assembling Wall Panels with Robotic Technologies. In: N. Kano (Editor) Proceedings 23rd International Symposium on Automation and Robotics in Construction, ISARC 2006. Tokyo, Japan. pp 728-733. Van Gassel, F.J.M. and M. Roders (2006) A Modular Construction System. How to design its production process? IN: F. Scheublin (Editor) Proceedings the Joint CIB, Tensinet, IASS International Conference on Adaptability in Design and Construction. Volume 3. Eindhoven. p12.1 – 12.6. Van Gassel, Frans (2005) Experiences with collaborative design by constructing metaphoric objects. In: Henri Achten et al. Design Research in the Netherlands. Eindhoven University of Technology. Bouwstenen 92. 63-70. Van Gassel, Frans and Ger Maas (2005) The development of a human-centred work method for design meetings. Proceedings meeting CIB W096. November 2005, Cobenhagen, Denmark. Editor Stephen Emmitt. van Leeuwen, J.P., van Gassel, F. and den Otter, A. 2005. “Collaborative Design in Education – Evaluation of three Approaches.” In Duarte, Ducla-Soares, and Sampaio (eds. ): Digital Design: the quest for new paradigms – proceedings of ECAADE 2005. Lisbon: Instituto Superior Técnico. 173-180. Van Gassel, Frans and Ger Maas (2005) Automation and Robotisation in Construction and Transition Management. Proceedings ISARC 2005, Ferrara, Italy. Editor F. Malaguti. CD-rom. Van Gassel, Frans (2005) The development of a concept for a Dutch Construction system for high-rise buildings. Proceedings ISARC 2005, Ferrara, Italy. Editor F. Malaguti. CD-rom. Leeuwen, J.P., Gassel, F.J.M. van, Otter A.F.H.J. den (2004) Teaching Collaborative Design. 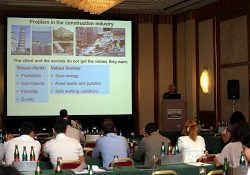 Proceedings International Workshop on Construction Information Technology in Education 2004. Istanbul Turkey, September 7th 2004. Van Gassel, F.J.M. van, J.P. van Leeuwen and A.F.H.J. den Otter (2004) Experiences with a course on Collaborative Design on Distance. Proceedings ISARC2004, Jeju Island Korea. Editors: Moon-Young Cho, Sang-Rok Oh and Young-Jo Cho, p 688 – 694. Ger Maas, Frans van Gassel (Editor), 2003, Proceedings The Future Site ISARC2003, Bouwstenen 75, 675 p, TU/e. Van Gassel, Frans, 2002, Experiences with the Design and production of an Industrial, Flexible and Demountable (IFD) Building System, ISARC 2002, p 167 172, NIST SP 989, Washington, USA. Frans van Gassel and Ger Maas (2001) Proceedings TG27 open meeting 2001 in Wellington. Theme: industrial Housing. 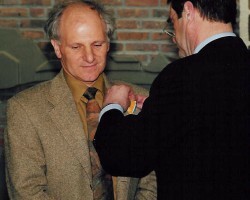 Nico Hendriks, Frans van Gassel, 2001. Construction of a prototype of an industrial, flexible and demountable (IFD) apartment building system in the International Status Report on Aspects of FutureSites. CIB publication nr 265. Frans van Gassel, Ger Maas, 2001. International Status Report on Aspects of FutureSites. CIB TG27 “Human-Machine Technologies for Construction Sites. CIB 265. ISBN 90-6814-119-8. CD-ROM. Frans van Gassel, Arjen Benschop, 2001, Controlling waste on building sites by development a waste disposal plan. Proceedings CIB World Building Congress 2001, New Zealand. Frans van Gassel, Wim Schaefer, 1999, A decision support system for a crane plan as part of a generic construction plan, Proceedings 16th IAARC/IFAC/IEEE International Symposium on Automation and Robotics in Construction, Madrid. P139-143. Gassel, van F.J.M., 1998, Returnable packaging for non-specific building materials, in de proceedings van het CIB World Building Congress at Gävle, Sweden. Page 865 – 870. Gassel, van F.J.M., 1998, Electronic Planning Tools for Tower Cranes, in de proceedings of the 15th International Symposium on Automation and Robotics in Construction at Munich (ISARC), Editors: W. Poppy, Magdeburg and Th. Bock, Munich, Germany. Page 145 – 151. 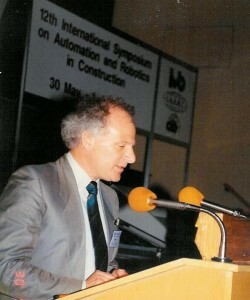 Gassel, van F.J.M., 1996, Mechanization and Automation by the Manufacturing of Removable Modular Buildings, in de proceedings of the 13th International Symposium on Automation and Robotics in Construction at Tokyo (ISARC), JARA Tokyo, Japan. Gassel, van F.J.M., 1995, Method for Analyzing Mechanized and Robotized Production Processes on the Building Site, in de proceedings of the 12th International Symposium on Automation and Robotics in Construction at Warzawa (ISARC), IMBiGS Warzawa, Polen, pp. 1-8. 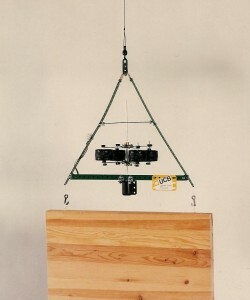 Gassel, van F.J.M., 1993, Design of a machine which rotates hoist elements around its vertical axis, in de proceedings of the 10th International Symposium on Automation and Robotics in Construction at Houston (ISARC), Elsevier Amsterdam. Van Gassel, Frans (2008) Klant blijft belangrijkste speler in het bouwproces.Intervisie. jaargang 5, nummer 08. Frans van Gassel (2007) Collaborative Building Process. IN: J. Walraven, M. Eekhout et al. Posterbook op the 9th PhD Symposium in Delft. Frans van Gassel (2007) Teaching Collaborative Design IN: E. Blokhuis, C. Hopfe and M. Verhoeven Posterbook PhD research projects 2007. Eindhoven University of Technology. Van Gassel, F.J.M. 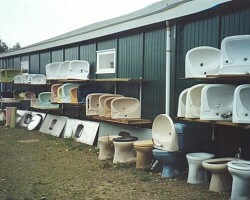 (2006) Modulair Bouwen. ARKO Catalogus Bouwwereld 2006. Van Gassel, F.J.M. Handstormen. In tijdschrift Leren in Ontwikkeling, Jaargang 16, juni 2004, blz 16. Frans van Gassel, 2000. Geautomatiseerde bouwproductiesystemen in Japan. 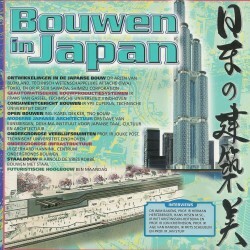 In het boek: Bouwen in Japan. Pagina 38 tot en met 45. Arko Uitgeverij BV. ISBN 90-72047-71-0. Martin Vissers, Frans van Gassel, 1999, Weersonafhankelijk bouwen, RRBouw.48 pagina’s. Gassel, van, F en R. van Zutphen, De Bouw – ‘n plaats van communicatie, De Bouwadviseur juli/aug 1998, p 33-36. Frans van Gassel, Architectuur en robots. IN:Frans van Gassel en Ger Maas (1997) Robotiseren en mechaniseren op de bouwplaats. Proceedings van de workshop mei 1997.Onderzoekschool Bouw, Eindhoven – Delft. Frans van Gassel, De afvalbak bij de werkplek. IN: Frans van Gassel en Ger Maas (1997) Robotiseren en mechaniseren op de bouwplaats. Proceedings van de workshop mei 1997.Onderzoekschool Bouw, Eindhoven – Delft. A.M. de Jong and Frans van Gassel, The development of human-machine systems for the construction process. IN: Frans van Gassel en Ger Maas (1997) Robotiseren en mechaniseren op de bouwplaats. Proceedings van de workshop mei 1997.Onderzoekschool Bouw, Eindhoven – Delft. Gassel, van, Frans, Modulaire woningen in Nederland mogelijk?, Aannemer april 1997. 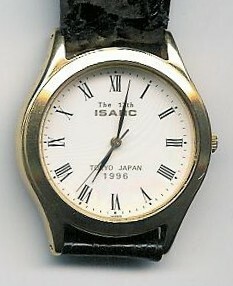 Gassel, van F. en A. van Blokland, 1996, Modulair bouwen in Japan, Technieuws96-07, jaargang 34, nummer 7, ISSN 1381-3730, Ministerie van Economische Zaken. Gassel, van F., Mechaniseren en robotiseren op de bouwplaats, Cement 1994/5. Interview in PRODUCT, het tijdschrift voor productontwikkeling. Innoveren door meedoen is de enige methode. mei 2008. Van Gassel, F.J.M. (1998) procesbeschrijving van het verwijderen van afwerklagen. UCB-rapport. Schaefer, W.F., Biezen,T. Van Gassel, F.J.M (1997) Optimalisatie van Beamix Pneumatisch Transportsysteem. 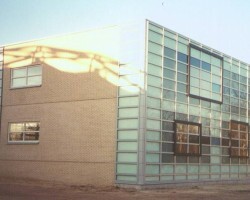 Frans van Gassel (1997) Hergebruik van Bouwdelen. UCB-rapport. 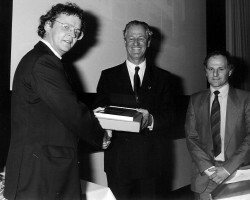 Frans van Gassel, Marcel van der Stap en Erik Leijten (1996) Productongebonden retourverpakking voor de Bouw. UCB-rapport. Frans van Gassel (1997) Hoeveelheid afval op de bouwplaats kan worden ingeperkt. IN: Bouwjaar97. Interview in Intermediair 38, 21 september 2000. Bouwen voor de eeuwigheid.Project IFD Today. Interview in Abfall vermeidung im Bausektor Flexibel und Demontabel Bauen. Beispiele. Frans van Gassel (1992) Beschrijving prototype oriëntator (Hoofdstuk 5 met bijlagen) in TNO-rapport Kleinschalige mechanisatie in de bouw (PKMB) Samenvattende rapportage oriëntator door J. de Kroon en J. van Mierlo. B-92-0928.